A delegation from the University of North Carolina (UNC) has visited Karolinska Institutet. Among other visits, they met with their Swedish colleagues in the ANGI project. In August, ANGI reached a milestone in the collection. 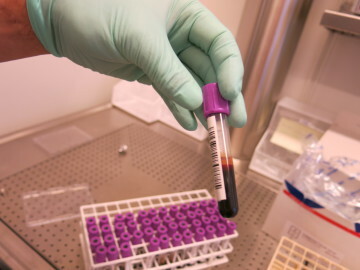 Over 2 500 persons from the quality register Riksät had by then submitted blood to the ANGI study. Today the ANGi-team had a start-up meeting for the fall, at Karolinska Institutet, Department of Medical Epidemiology and Biostatistics (MEB). We discussed autumn activities, including the launch of ANGI.se and the collection at SCÄ. We also took the opportunity to take a group photo of the part of the research team working here at MEB. On October 12, the television news-show Aktuellt showed an interview with professor Cynthia Bulik about the ANGI-project. Bulik, who is the leading researcher in eating disorders and director of the American ANGI, was interviewed at Karolinska Institutet in Stockholm. The website for ANGI Sweden, ANGI.se, is now being launched. It will enable everyone to participate in the ANGI study. ANGI.se will provide information about the study and one will also be able to contribute with information by completing a web survey on the site. 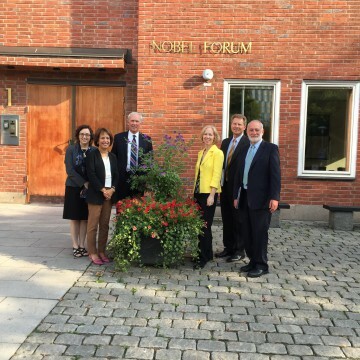 A delegation from the University of North Carolina (UNC) in the US has visited Karolinska Institutet. Among other visits, they met with their Swedish colleagues in the ANGI project. This August the ANGI project reached a milestone in its collection, when a total of 2 500 individuals had completed the study.